Bad Girls, Good Guys, and Two-Fisted Action: Mechanoid Press announces The Ix Incursion! 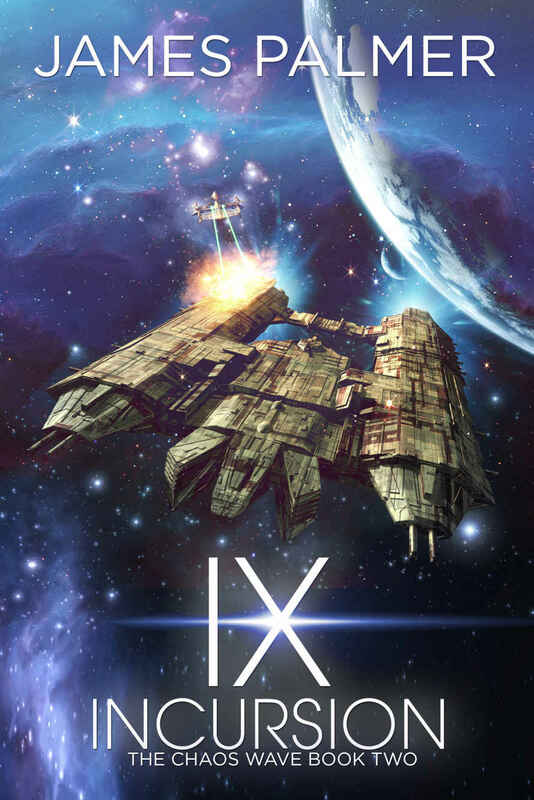 I am thrilled to announce that Ix Incursion: The Chaos Wave Book Two, the exciting sequel to Star Swarm, is now available for Kindle. It's just 99 cents, but not for long, so grab it at that price while you can. You can check it out here. Commander Noah Hamilton, now in command of the Solar Navy railship Zelazny, and his second in command Leda Hamilton, are now at war with a terrifying alien race. Unable to stop them, they are forced to watch helplessly as the Ix sterilize planet after planet. Meanwhile, the Draconi scientist Drizda, along with a pair of misfit Draconi pilots and a Special Ops ninja, is on the trail of an ancient alien weapon that can stop the Ix once and for all, a device called the Light of Ages. Learning its secrets will challenge everything she knows about her place in the cosmos. Behind the scenes, the Ix's acolyte Colonel Straker is setting the stage for an all-out war that will cripple the League of Worlds and help the Ix extinguish the human race. Their only hope is the Light of Ages, if it can be found in time! The exciting sequel to STAR SWARM, for fans of David Weber and Chris Fox. Lots of action and alien intrigue. It's also FREE for those of you who are on Kindle Unlimited. So please, go check it out, and leave a review if you're so inclined.